It's Saturday morning, and GameSkinny's Weekend Download is back again. 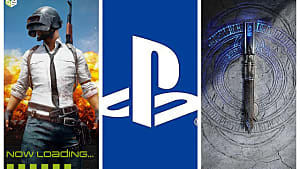 Here's most of everything we published this week in one easy to digest roundup, including the official Borderlands 3 release date, that Borderlands: The Handsom Collection is F2P this weekend, tons of Outward and Risk of Rain 2 coverage, Nintendo Labo, and a lot more reviews than we've done in a while. As usual, we've added links in case you find a headline that tickles your fancy and want to read more. We've also broken things down by category to make it easy to find what you're looking for. And finally, we've left out posts that are now meaningless because the event or sale has already ended. 2K games officially announced Borderlands 3's release date and editions today, confirming it will be a timed exclusive on the Epic Games Store. Read more. The bundle, which includes Borderlands 2 and Borderlands: The Pre-Sequel, is also on sale on PC, PS4, and Xbox One from multiple storefronts. Read more. Hot on the heels of Labo VR's initial announcement comes news that Super Mario Odyssey and Breath of the Wild will support the Toy-Con VR Goggles in different ways starting April 25. Read more. Obsidian Entertainment's latest RPG gets a lengthy new gameplay video from PAX East, showcasing branching dialogue, varied action, and some gorgeous graphics. Read more. New details emerge about The Division 2's Raids, including a new signature weapon. Read more. Help fight poverty during a special charity event in Dragon Mania Legends. Read more. Alliance War is out April 15 and offers new cards, mechanics, and factions, and the game is set to receive multiple new rounds of content throughout the year. Read more. Soon, CDPR fans will be able to get all kind of sweet merch for their favorite games directly from the source. Read more. Alien Pixel Studios' new indie platformer features reality warping as its main mechanic, a unique art style, and plenty of atmospheric environments. Read more. The update implements seamless cloud saves for Switch and PC, although there is no word about iOS support yet. Read more. Nintendo Switch Online gets three new NES games on April 10 as part of its monthly update. Read more. 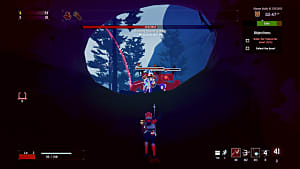 Hopoo Games said the numbers smashed all expectations and provided an outline of how it will support the game in the coming months. Read more. Everything you need to know about LCK Spring Playoffs 2019. Read more. Octopath Traveler received a rating for release in Korea — on PC. Could that mean it will no longer be Switch exclusive, or is there something else in store for the fledgling franchise? Read more. Don't let the green dino's mid-tier status fool you. With fluid platforming, incredible attention to detail, and a huge variety of content, Yoshi's Crafted World is a must-have Switch game. Read more. ATOM RPG is trashy, yet hilarious; clunky, yet addictive. It's a fun Fallout clone that at times makes you laugh, and at others yell at your screen. Read more. 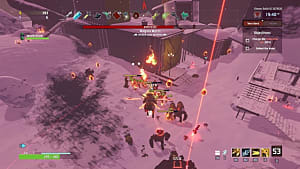 So far, Risk of Rain 2 is a worthy successor to the original, with its fully 3D design opening up new avenues of play. Read more. The Stratus Duo stands tall alongside other mobile controllers and rivals the best that are currently available for PC. Read more. The MX518 might be a throwback, but it has plenty of modern bells and whistles to make its legend relevant today. Read more. All told, We. The Revolution comes together to make a thoroughly enjoyable experience. Read more. When it works, Mechstermination Force is an enjoyable experience, but those moments are marred by some faulty design and monotonous grinding. Read more. The Show is back with the latest, but just barely the greatest, addition to the world of baseball video games. Read more. With Chocobo's Mystery Dungeon: Every Buddy releasing recently, we take a look at why Mystery Dungeon games are worth your time (and sanity). Read more. Of all the challenges found in Outward, the load screens may be console players' biggest hurdle. Read more. Prepare for the official release of a new Village and Pillage update for Minecraft 1.14 with this month's best selection of seeds. Read more. 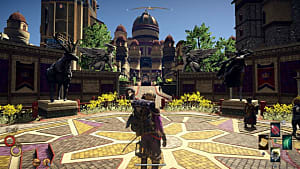 Assassin's Creed Odyssey is a fantastic game that didn't quite manage to live up to its lofty potential, and conquest battles were a primary victim of this. Read more. To Leave may be a hard experience for some, but it's another title that helps us understand that living with mental health issues is not easy. Read more. The first leg of the tour kicks off in Chicago's Grant Park from June 13-16 and will feature local and global challenges to connect players around the world. Read more. The Division 2's latest trailer provides more information on the impending World Tier 5, as well as a release date for the game's first raid. Read more. Borderlands 3 finally has a release date, and pre-orders are open now for all four editions. We've rounded up where you can find each, including the diamond loot chest edition. Read more. Having trouble taking down the Headless minibosses in Sekiro? This guide shows you all headless locations, as well as the best tactics for beating them and the items they drop. Read more. If you're wondering about Trails of Cold Steel's characters, romance, and bonding, who you can romance, and how your romantic and bonding choices carry over into Trails of Cold Steel II, you're in the right place. Read more. Only two skills grant the Discipline boon, luckily they're both in the same place. Read more. The less stressful route from Chersonese to Levant in Outward, through Berg. Read more. 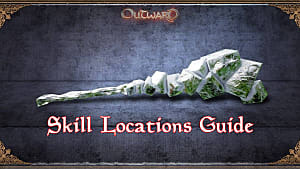 Here are some of the most powerful weapons in Outward, and short instructions on how to find them all. Read more. How to roll in Jubilee Gift Boxes during ESO's 2019 Jubilee Event starting this week. Read more. 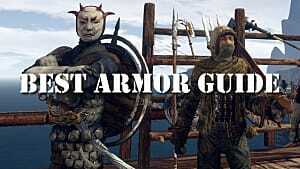 The Elder Scrolls finally has a proper mobile entry, but most players can't login quite yet. These tips will try to help you fix the issue until more info becomes available. Read more. Here are the exact locations of all weapon types in Generation Zero, including their coordinates. Read more. Need help getting all the Poochy Pups in the first path of Yoshi's Crafted World? This guide has all their locations! Read more. A quick guide to unlocking the characters of Risk of Rain 2. We chucked in some tips for using each of them, too. We are just nice like that. Read more. 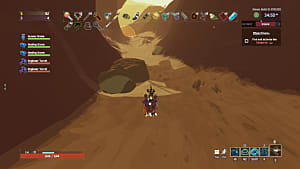 A guide to Risk of Rain 2's rarest currency, what to spend it on first, and why you should do so. Read more. RoR2's teleporters aren't that hard to find if you know what you're looking for. Read more. Learn about the two new gods Mars and Zeus, their abilities, synergies, and combos with the help of this guide to Dota Auto Chess. Read more. The Year of the Dragon has begun with the new Hearthstone expansion Rise of Shadows. Here are the 15 best cards of the new set. Read more. Check back next Saturday morning for more.